This is the 2nd bake for this Chiffon Cake . The first one was bake with cutting off chocolate chip from a chuck of chocolate. On this 2nd bake I am using chocolate chips. 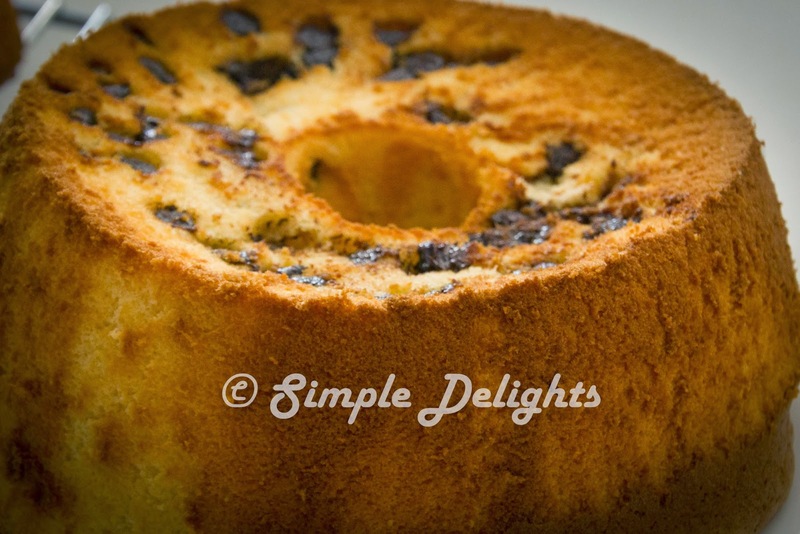 I found that using chocolate chip in chiffon cake , the chocolate chips seem to sink into the bottom of the cake and not inside the cake itself. However using cut fine chocolate , it will give a lighter and better effect of having chocolate in the cake itself. Using almond meal in the recipe has create a chiffon cake full of almond fragrance and the cake texture is a lot softer and not spongy. 2. Place the egg yolks in the mixing bowls, pour in vegetable oil and warm milk . Mix till combine. 3. Shift the almond meal into the egg yolks mixture. Whisk till all well combine. 4. Whisk the egg whites to foamy and add in caster sugar gradually and beat till stiff peak. 5. Gently fold in egg white mixture into egg yolk batter in 3 seperate additions until well combined. 6. Sprinkle the chocolate chop into the cake mixture and lightly stir in the cake. 7. Pour the batter into the chiffon cake mold. Bake in the preheated oven for 40-45min. 8.When the cake is out from the oven , invert pan immediately to cool completely before unmold. The cake is very soft and I love the fragrance of almond in the cake. 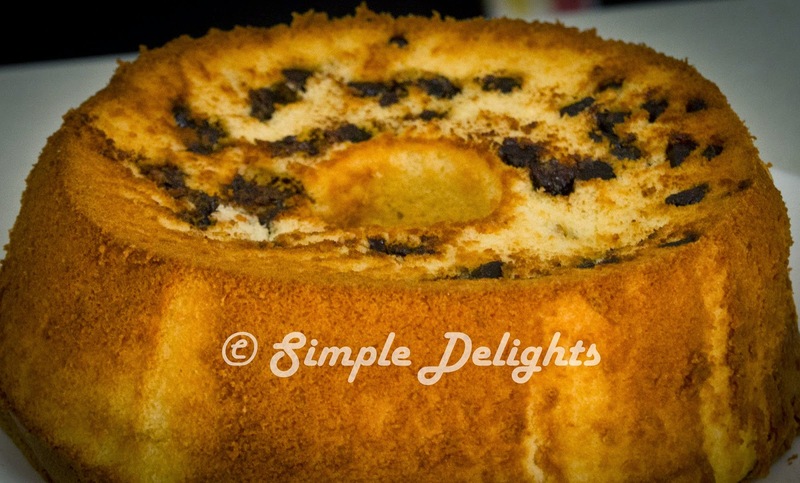 This is definitely a very healthy chiffon cake beside the chocolate chip. You can replace the chocolate chip with 40g roasted almond chip to have a total almond chiffon cake . Hope you can give this recipe a try . I love adding almond meal and chocolate chips into my chiffon too. Love that flour is replace by almond meal. Thanks for organising the Almond Theme baking event. I love almond. Has try a few attempt in making almond crips but yet to success. Love to learn from you all.